The newest edition of Sass Magazine is out! 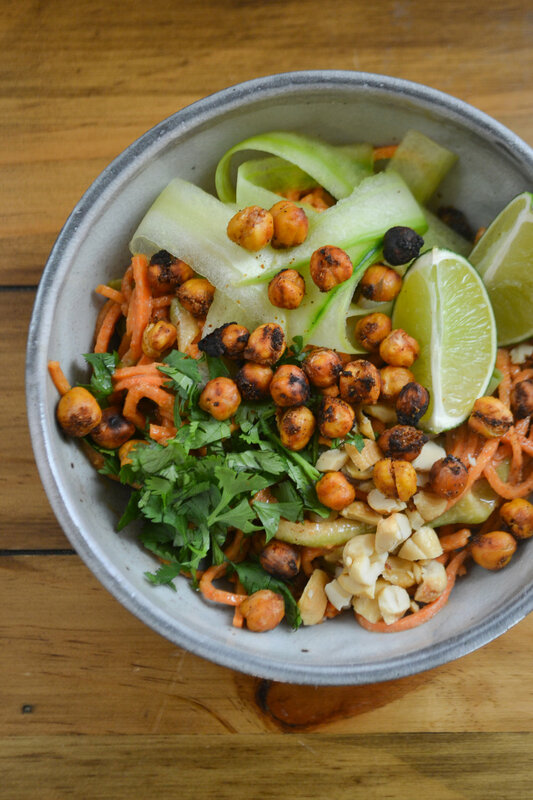 Check it out online or pick up a copy from one of many locations around Frederick to get the recipes for my Sweet Potato Pad Thai Salad and Beet Carbonara Salad. Have you been eyeing those packages of spiralized vegetables popping up in grocery stores everywhere? These are a great way to try them out. 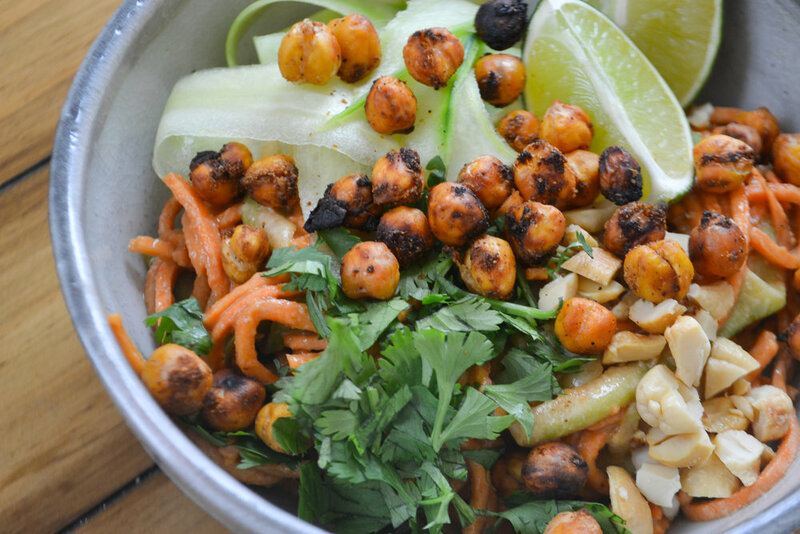 Recipe for the Sweet Potato Pad Thai Salad. I found the lovely ceramic bowls used in these photos at the Potter's Guild of Frederick.